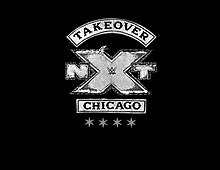 NXT TakeOver Chicago will be taking place this evening at the Allstate Arena in Rosemont, Illinois. I'm a bit behind on NXT so I don't really know all that is happening. However, after looking at the card, it looks like it will be a good event. So, let's take a look. This should be a good match as Nikki is awesome and is shown to take some serious bumps. I would love her to win but I think that Shayna will win and then Nikki can join SaNitY on Smackdown. It seems a little weird seeing Roderick Strong as a heel, especially after seeing those WWE videos about him last year. However, it has fun to watch. I can't see him and Kyle O'Reilly losing this one. This has a strong possibility to not only be the match of the night but one of the matches of the year. It's a really tough one but I'm going for The Dream to win here. Like their match in New Orleans, this should be another enthralling contest. It's another tough one to call but I think they will continue this feud for a little longer do I'm going for Ciampia to win. To be honest, whilst I love Sullivan, I never thought he will get the opportunity to become NXT Champion. I think that he and Black will have a good match and I'm going for Black to retain here. It will be several days before I watch this and publish the review so until then, I hope you guys enjoy the show.